Playing off of the immediate success of the previously produced 12-20 the 20-35 could loosely be discribed as a “twice the size” carbon copy of the smaller model. Constructive castings were nearly doubled in size and retained the twin cam, sixteen valve, inline four cylinder engine. Cubic inches were moved to 641 with a bore and stroke of 5 ½ x 6 3/4 running at 900 rpm. 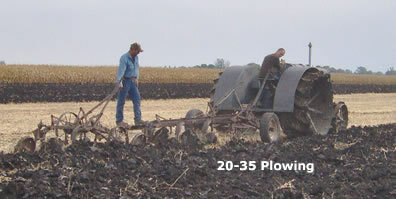 This tractor was obviously designed to replace the small end of the aging heavyweight line. 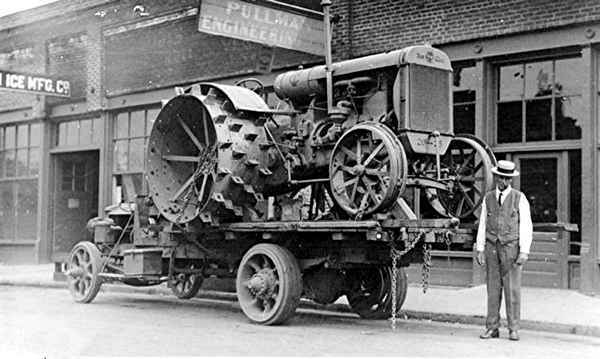 The advanced unit frame construction had the transmission and final drive sealed in heavy oil and used Hyatt roller bearings in place of the former bronze/babbitt type. 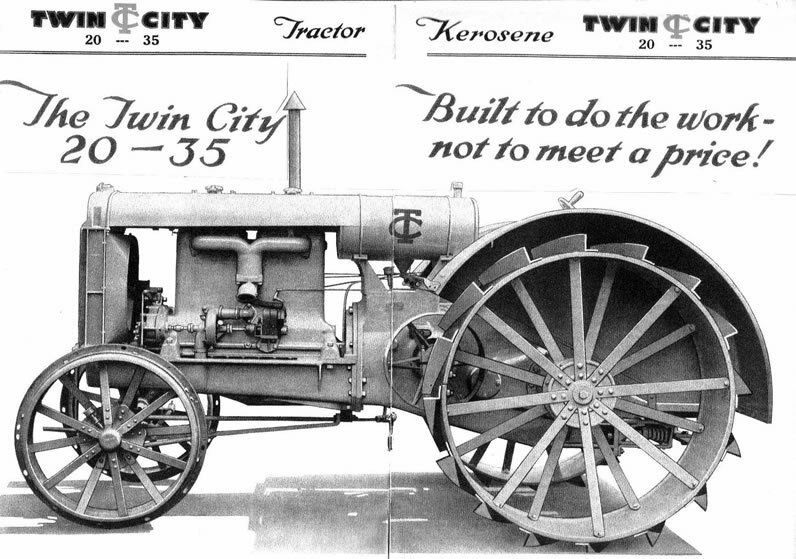 The powerful 9,500 pound 20-35 could effectively replace the 15-30, 25-45 and automotive styled 16-30 with one tractor of a superior design. A variety of lugs from big angle iron, spade or pyramid were offered along with two wheel sizes. Standard rear wheel was 20" wide. For road building a “Road King”wheel was 28" wide. The post war depression was gripping the nation from 1920 through 1923. Many manufacturing companies were lost to a mountain of bills and no way to pay them. 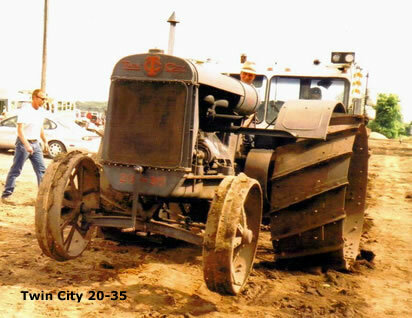 Tractor production nearly crawled to a stop at MS&MC during the entire production run of the 20-35. 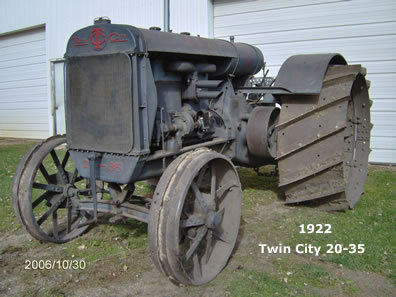 Aside from a few hundred heavyweights the only tractors in production from 1920-1925 was the 12-20 and 20-35. In an effort to survive, MS&MC signed a contract with three Twin Cities railway providers and turned one third of the plant into a locomotive repair shop. Twenty five locomotives could be repaired indoors at one time under this clever plan.